For when you've finished "The Great British Baking Show," there's "Monty Don's French Gardens"
I've recently discovered a Netflix gem, entitled Monty Don's French Gardens. If you've finished all of The Great British Baking Show, this is a perfect segue. Who is Monty Don? Montagu Denis Wyatt "Monty" Don OBE is an English television presenter, writer and speaker on horticulture, best known for presenting the BBC television series Gardeners' World. Show description? 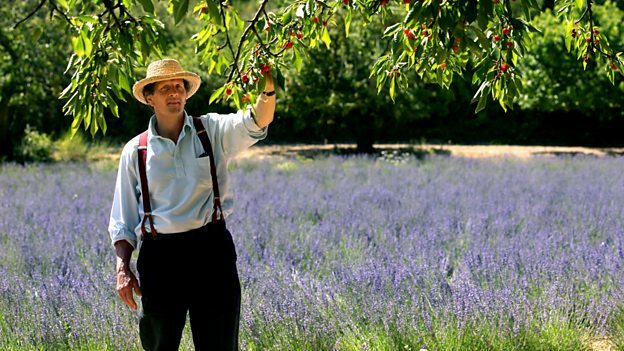 "Monty Don visits some of the most famous and interesting gardens in France." The show itself is a lovely combination of travel program, gardening program, and (my favorite) history program, sharing the origins of these beautiful landmarks, their designers, how they function (fountains! orangeries!) and even how the terrain shaped their design. It is a very soothing and pleasant program, beautifully shot. This other person also agrees. Do you?